Miltenberg is bounded by (from the north and clockwise) the city of Aschaffenburg, the districts of Aschaffenburg and Main-Spessart, and the states of Baden-Württemberg (districts of Main-Tauber and Neckar-Odenwald) and Hesse (district of Odenwaldkreis). During the Middle Ages there was continuous fight between the bishops of Mainz and the counts of Rieneck. Both attempted to rule the region and erected castles in the Spessart mountains. Later other tiny counties became involved in these fights as well. During the 13th C the cities along the Main River emerged. Due to the trade on the river their wealth grew, and this became a very prosperous region. Prosperity ended abruptly in the Thirty Years’ War (1618-1648), when the area was devastated and depopulated. In 1803 the clerical states of Germany were dissolved, among them the bishopric principality of Mainz. In 1816 the state of Bavaria managed to annex the entire region. The district of Miltenberg was established in 1972 by merging the former districts of Miltenberg and Obernburg. The original settlers in the area of present day Miltenberg were the Romans who built two castles here for the protection of the Outer Limes, the northernmost walled frontier of their Empire at the time. The Road of the Nibelungen passes through Miltenberg as well. At present, Miltenberg is a lively, romantic and medieval town. The timber-frame houses create an inimitable feeling of German life in the 16th and 17th C. In the same way, the gabled houses in their pristine condition reinforce the impression of town virtually transported from the medieval age into modern times. The extent of the timber-frame construction in this prosperous community is easily explained by the local legislation which granted the citizens of Miltenberg free construction timber for their city homes from the forests which were communally owned. Furthermore, neither war damage nor fire inflicted any harm upon this unique medieval architectural set up. Historians agree that the relative economic slowdown during much of the 18th and 19th C in the area was nothing short of a blessing in disguise for the preservation of the authentic architectural monuments here. Even affluent citizens were not able to follow the vagaries of fashion and destroy their old homes and replace them with more desirable, contemporary constructions. The key event in the history of this little community was the construction of the Fortress Mildenburg by the Archbishops and Prince Electors of Mainz in 13th C. Present day Miltenberg really developed under the protection of the powerful Fortress from 1230 on. The Prince Electors and Archbishops of Mainz used Mildenburg as a Tax and Customs collection point as much as frontier garrison on their outer borders towards the Principality of Würzburg. Significant wine production contributed to the general wealth of the city and affluence of its citizens during the 14th C. Wine was being exported both to Nuremberg and Frankfurt. The special privilege to hold St Michael’s Fair was granted to the citizens of Miltenberg by the Archbishops and Prince Electors of Mainz in 1367. The census of 1620 showed not one farmer living in town. Their prosperity allowed the rich burghers to procure their food for the money from the neighbouring villages. Unfortunately, both the excellent location and the affluence became	heavy liabilities during the Thirty Years’ War which devastated Germany and large areas of Central Europe from 1618-1648. Miltenberg was besieged and pilfered and looted on several occasions during this long lasting continental conflict. 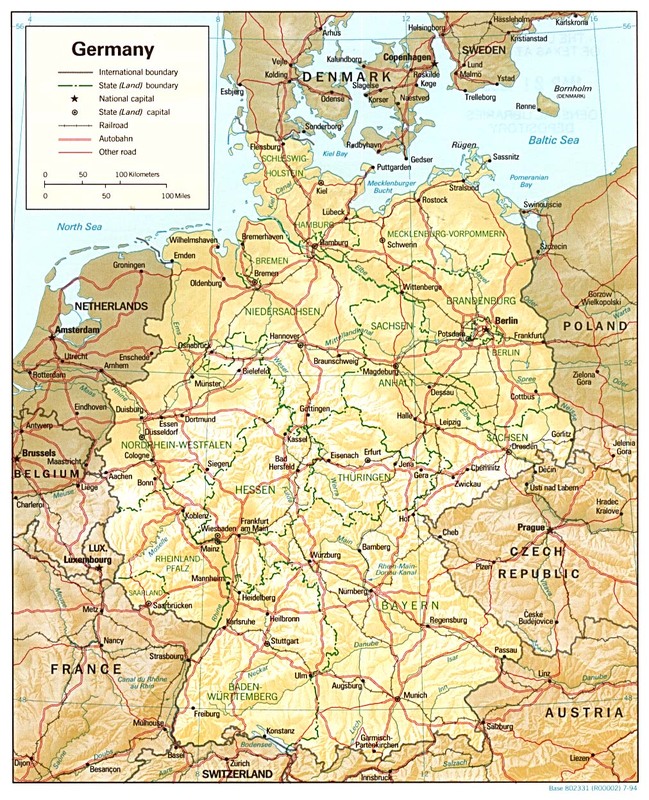 The town changed hands four times during the early 19th C as Napoleon chose to redraw the political map of Germany to serve his political interests and ambitions. Eventually, Bavaria took over the territory in 1816. The present day Castle Mildenburg was originally built by the Archbishops of Mainz as a military outpost-fortress to secure their defense against the growing threat coming from Würzburg. The residential part of the Castle, the so-called ‘Palas’ was added much later by Archbishop Konrad von Weinsberg between 1390 and 1396. Mildenburg was seriously damaged during the ‘War of the Landgraves‘ in 1552. The main building was reconstructed in Renaissance style in 1556. The Archbishops and Prince Electors of Mainz lost this property in 1803 to the Princes of Leinigen who in turn sold it as a private residence. The castle was thus in private hands from 1807-1979. Since that time, this impressive monument of German culture has been the property of the city of Miltenberg. Travel to Germany: a Europe Tour that’s a lot more than Beer, Lederhosen and Cuckoo Clocks! Will be visiting there in July and so looking forward to this. Wow, Margaret, you’re really fast, I only just put this page up as part of our upgrading of the site! You’ll REALLY enjoy Miltenberg, are you going on a cruise or driving? Miltenberg.org (www.miltenberg.org) is a website that tries to show the region in a personal and authentic way through the eyes of visitors and inhabitants by aggregating user-generated content like photos, videos, stories and locations. Feel free to have a look and submit your content once you’ve visited the city. I’d be happy to feature it on the site. Enjoy your trip. One of my ancestors was Johann Philip Schmanck born 1670 in Miltenburg. I have old records from Germany showing that he was burgwart at Miltenberg castle in 1708. I will try to attach a page about this info, and hope you can see it., otherwise maybe I can it by regular mail. Wish I wasn’t so old and handicapped, because I would love to visit this place!!!!!!!! Thanks for your comment and we look forward to seeing your information on your ancestor Johann Philip Schmanck. Whilst it is not the same as being there in person, this link takes you to our Miltenberg photo gallery for a look around the town.